With regulators weighing in on the UK’s banking and energy industries, and quasi-monopolies in the public services sector high on the agenda for the Treasury, what can SMEs do to protect their position against anti-competitive behaviour? 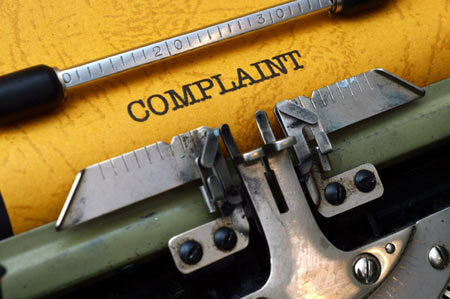 To provide a meaningful complaint to the CMA, the complaint has to deal with a number of mandatory requirements. These include an explanation of why the business/person complaining has been affected, the reasons for the complaint, and details of the action sought from the CMA. Collating this evidence and drafting the complaint will incur time and cost for the business. It is possible for a prospective complainant to approach the CMA for a pre-complaint discussion. But whilst this is useful guidance for the business, any view given by the CMA at this stage is not binding. There is an element of risk when making a complaint to the CMA. Too little information might mean that the complaint is not properly set out; whilst too much time spent may waste valuable resources. If the CMA considers that there are reasonable grounds for suspecting anti-competitive behaviour, and that the complaint fulfills its administrative prioritization principles, it will open a formal investigation. During the formal investigation, the CMA has a variety of powers to collect information about the business in question. These powers include: requiring responses to formal written requests for information; and conducting interviews with any individual who has a connection with the business under investigation. In addition, the CMA also has powers to enter and search the premises of the business in question. Following its investigation, if the CMA considers that there is significant evidence of an infringement it will issue a Statement of Objections. The Statement of Objections is the CMA’s provisional view on the case and identifies the next steps in the proceedings. Parties have a right to reply and, following this, the CMA will make a final decision on whether or not there are grounds for action. If the CMA finds that there has been anti-competitive behaviour it has the power to levy substantial penalties on the business in question. Significantly this decision also acts as a binding decision, and springboard, from which to make a private “follow-on” claim for damages. Where the CMA considers that it needs to act urgently to prevent ‘significant damage’ it has the power to impose interim measures on the business in question until it has completed its investigation. Significant damage will be assessed on a case-by-case basis; but, fundamentally, damage will be considered ‘significant’ where it is clear that participants are restricted in their ability to compete in the market, access customers or obtain suppliers. This has the effect of causing significant damage to their business. The CMA will apply these measures to specific behaviour or conduct that is causing, or is likely to cause, significant damage. Clearly such measures will have an impact on the strategic, operational and commercial position of the business under investigation. Significantly, they will also have an impact on the reputational standing of the business under investigation.Interim measures are published in the CA98 Register (found on the CMA’s website) and in appropriate trade journals. To date, the only instance recorded of interim measures being imposed upon a business were those imposed by the OFT on the London Metal Exchange in February 2006. However, the extent of the CMA’s powers is a recent development.It remains to be seen whether the CMA will bare its teeth and impose interim measures on a greater scale. Preparing a complaint to the CMA, and seeing it through to its conclusion,is likely to incur significant cost to the business in question. However, with the growing presence of third party funders in the legal market, there are now alternative means of funding a complaint to the CMA. Traditionally funders were only willing to finance a complaint to a competition authority once liability had been established.They would cover the costs of proving quantum; but not proving liability. However, the CMA has been designed to be much more proactive in its enforcement of competition law in the UK than its predecessors. It is only a matter of time before they take anti-competitive practices to task. In view of this, it does seem a timely opportunity for funders to become involved at an earlier stage.